Your smartphone is a valuable tool for activism. Here are two ways to get involved. Many people wonder how they can be involved in helping to improve government as a citizen activist. It may be that you have a valuable tool that’s in your pocket, and that you take everywhere you go: Your smartphone. 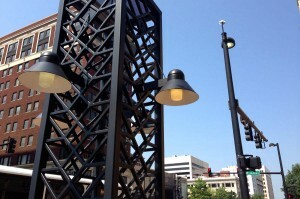 Street lights in downtown Wichita, July 22, 2014. 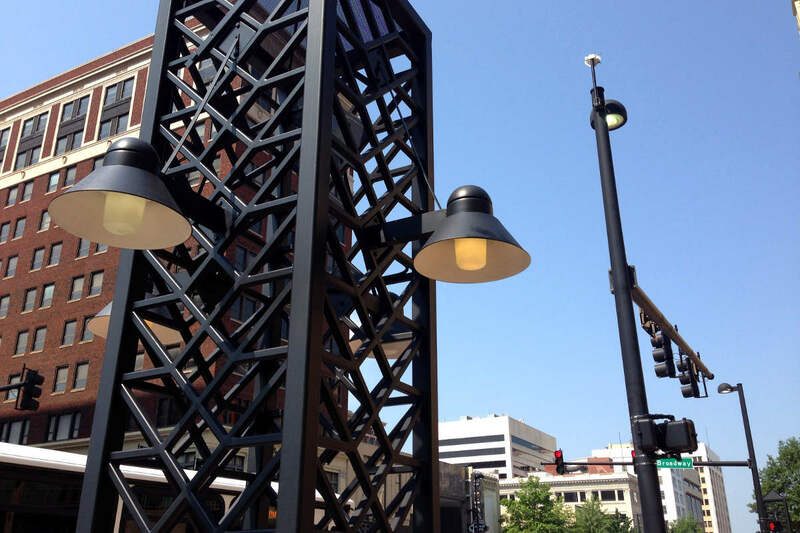 You may have seen me showing photographs of street lights burning in downtown Wichita during the middle of sunny afternoons. Have you ever spotted government waste like that? I’m sure that you have. I think people forget they have a fairly high-quality camera with them at all times in their smartphones. So here’s something that you can do: Take a photograph or shoot some video. Send it to me or to your local government watchdog. People like me need information. I need tips. Put your smartphone to work for something beside selfies. Another thing you can do with your smartphone that is very helpful is to capture documents. Here’s an example. 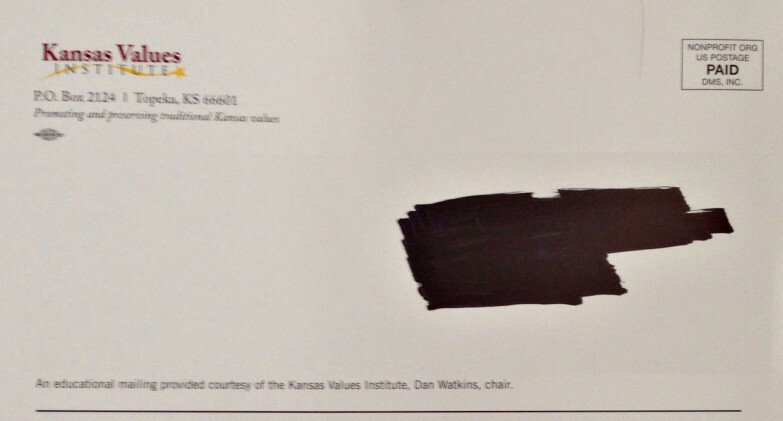 At election time, campaigns and political groups send a lot of mail pieces to voters. Some of these will contain falsehoods or distortions that need to be exposed so that the guilty parties can be held accountable. But much of the time, these political mailings go unnoticed. That’s because a Kansas House of Representatives campaign, for example, covers a relatively small population. Then, campaigns may send mail to only the people they consider active voters, and may narrow down the list using other criteria like political party. Or campaigns may send certain mail pieces to small subsets of voters. So any single campaign mail piece may go to a relatively small number of households. What can you do to help? 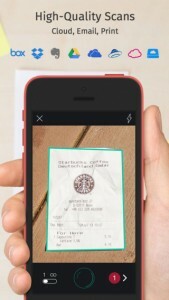 Use your smartphone or regular camera to capture documents like campaign mailers. You can do this by simply take a regular photograph with the built-in camera app. That usually works well enough if you follow a few guidelines, and with a little practice you can create documents are are very usable. Probably the three most important things to remember are to avoid glare, maintain perspective, and crop. If your light source or flash creates glare on the document, the document may not be usable. By perspective, I mean having your camera square and perpendicular relative to the document so that its dimensions are not distorted. (I find that placing the document on the floor and then getting right over it helps.) Finally, cropping removes unneeded parts of the image. Remember, what we’re trying to do here is to create usable documents that can be read. We don’t have to worry about creating archival-quality documents like you would be if you’re digitizing and preserving family photographs. As I said, you can do this with the regular camera app in your smartphone. But there are specialized document scanning apps. I’ve used several, and one I can recommend is called Scanbot. Another is CamScanner. Scanbot is free for both Apple and Android smartphones and tablets, although there is a paid version with extra features like optical character recognition. What I like about Scanbot is that as you’re taking a photo, the app coaches you on the screen with tips like “too dark,” “get closer,” or “perspective.” Finally, it will command “don’t move” and it will snap the photo. You can then add more pages. Be careful about sharing personal information. I should warn you: If you plan on sending something that you received in the mail that has your address or any other personal information on it, be aware and be careful. You could erase it using an editing app on your smartphone or computer, but in many cases the easiest thing to do is to obliterate your address with a marker pen before you capture the document. Or, you might cover it with paper, or excise it with scissors. This type of intelligence-gathering is extremely valuable. Now, you may be thinking “Wait a minute. Don’t political campaigns post their mailers on their websites or Facebook?” The answer is some do, and some don’t. For the negative mail pieces — the ones that often contain the type of distortions that need to be exposed — it’s rare for a political campaign to make these mailers available to the public. I can’t tell you how many times people have complained to me about something they received in the mail or at a meeting. I ask “can you scan it and send it to me?” Well, not many people have scanners in their home. But now many people have smartphones. With a little practice, you can capture these documents in electronic form. Then, what do you do with these documents? The campaigns of candidates that you support need intelligence like this. News reporters need documents for tips and substantiation of stories. You can share documents on social media like Facebook and Twitter. You can send them to me or your local government watchdog person or organization. There’s a lot you can do. Government officials at all levels count on the average citizen not being interested or informed about government. We can hold government more closely accountable if we have information, and this a way that anyone can help.